The 5th November 1839 was a day of processions and much festivity in Welshpool due to the Foundation Stone of Christ Church being laid by Edward James Herbert, Viscount Clive (the future 3rd Earl of Powis) to commemorate his coming of age. The site and land for the churchyard was given by the Powis family. Christ Church stands on Maes Gwastad adjoining Powis Castle Park. It is often thought that Christ Church was built by the Earl of Powis as his own private chapel, but it was in fact paid for by public subscription and owned by The Church of Wales. Completed in 1844, this Norman style church was designed by Thomas Penson (1790-1859), who was the County Surveyor for Montgomeryshire. He was responsible for building many bridges and public buildings in the area, such as the old National School in Welshpool and the Llanfyllin Workhouse. 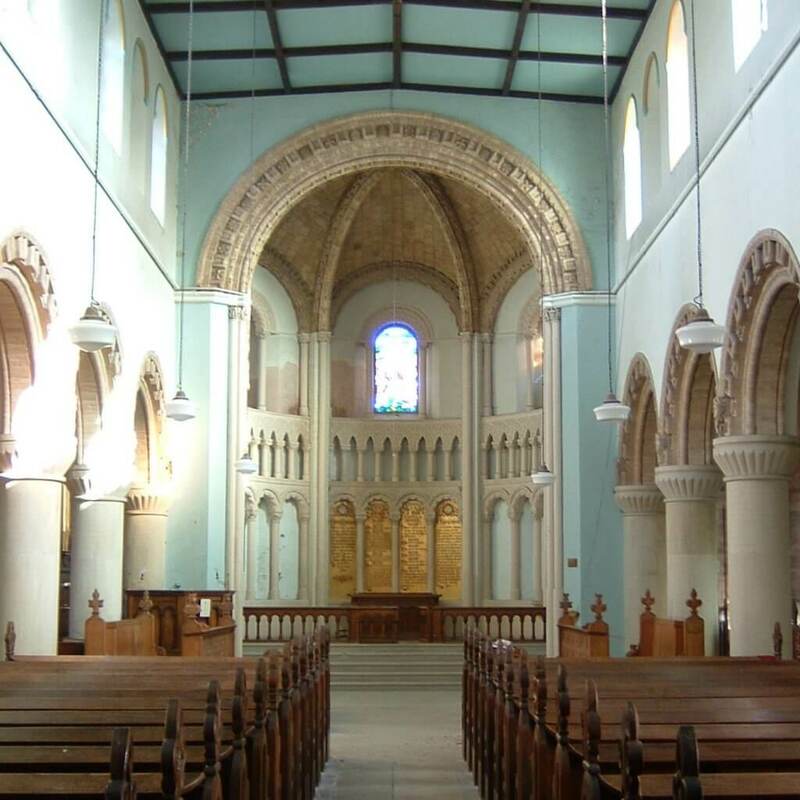 Christ Church was the first church he designed and he went on to design St Agatha’s Church in Llanymynech (the only one that remains open as a church) and St David’s Church in Newtown. 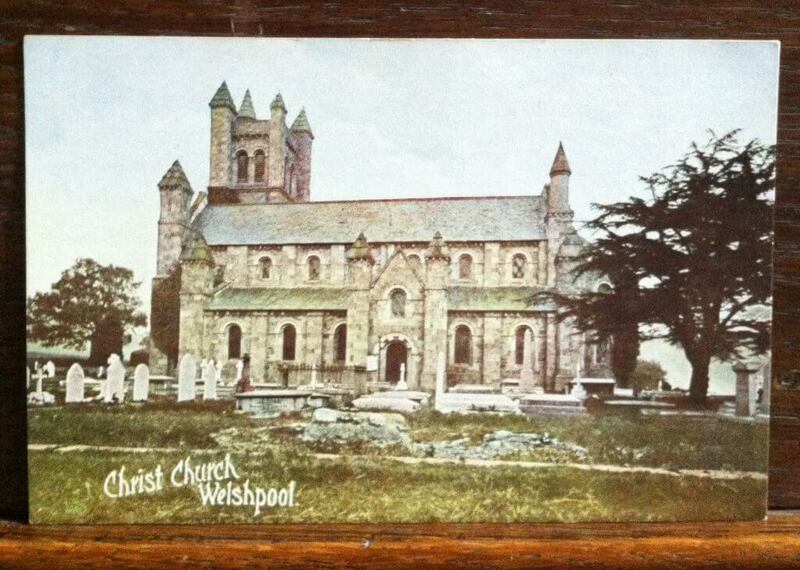 Christ Church is constructed from Welshpool granite in a Norman revival style. 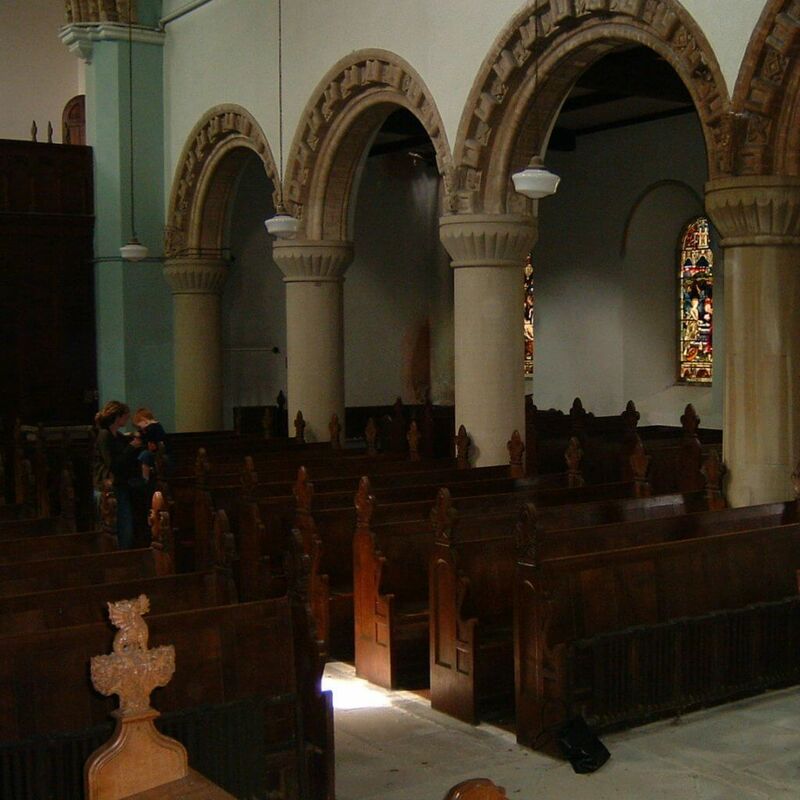 The interior is ‘of a grand Romanesque kind’. 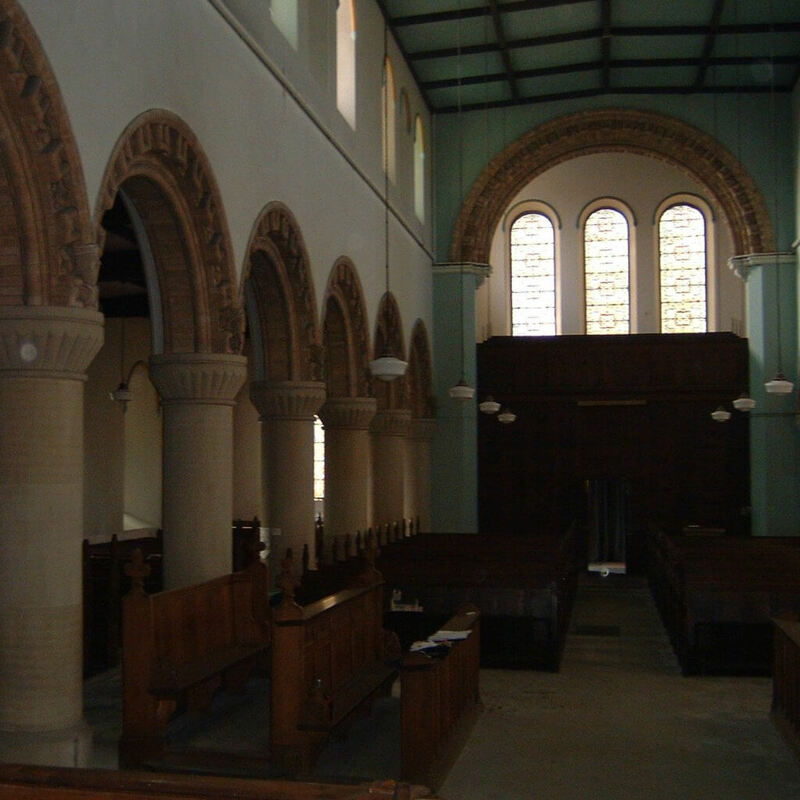 Christ Church is noted for the extensive use of terracotta on the arcades for internal decoration, and the vaulted roof in the Apse. 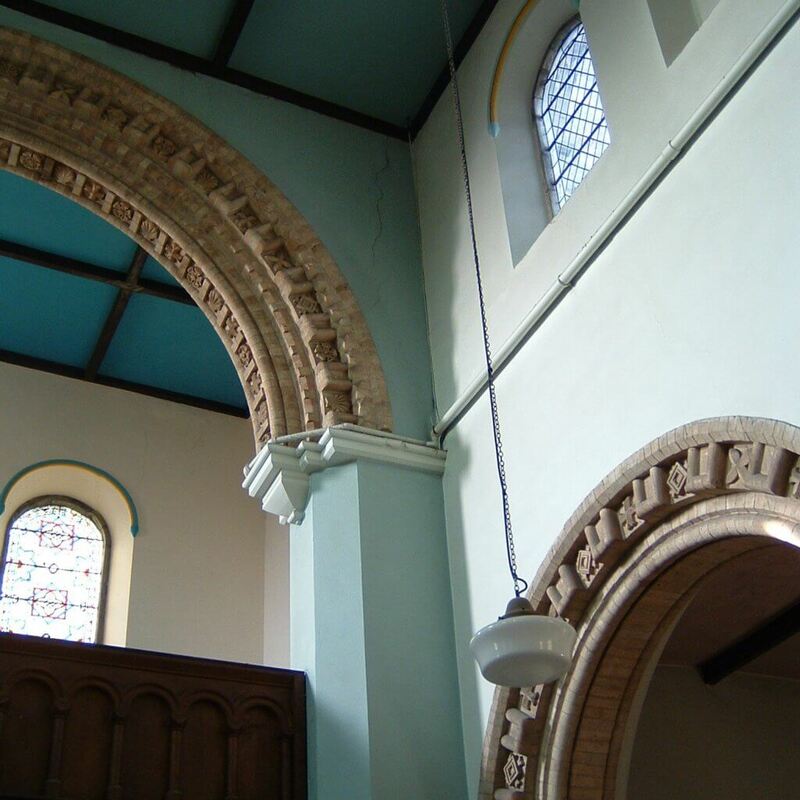 It is thought to be the earliest example of using terracotta in this way in the country, hence its Grade II* listing. It was hoped that the building of a second large church in the parish of Welshpool would increase the numbers of the church going people in the town. 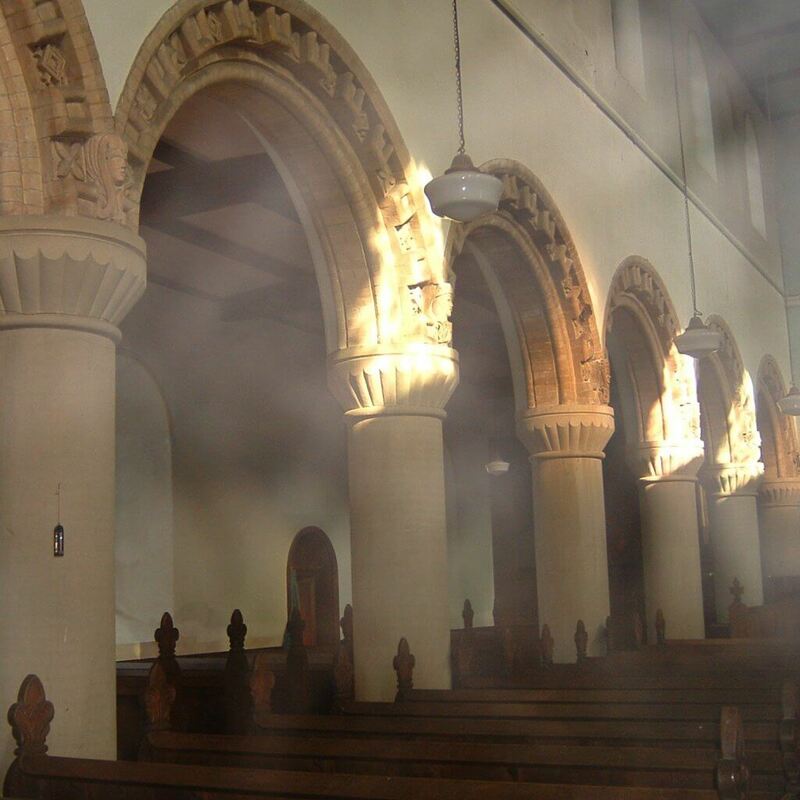 It was hoped the public would be attracted to Christ Church as it had ‘free pews’ and was considered to be warmer than the much older parish church of St. Mary’s due to its ‘contemporary’ heating system. However it would seem to have only divided the existing congregation. Christ Church has always struggled to be economically viable as it was never financed as a parish church. It operated as a daughter church to the parish church of St. Mary’s. 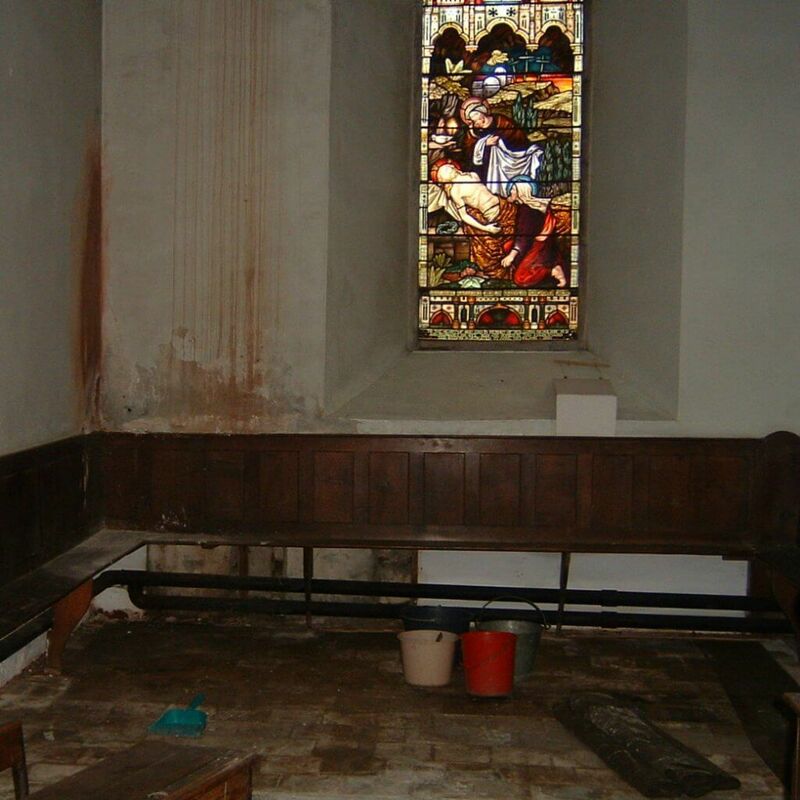 Due to dwindling numbers and ever increasing maintenance costs, the Church of Wales closed Christ Church in 1998. Thanks go to Roger L.Brown for making available a lot of this information on the history of Christ Church.